Bob Kramer, world-renowned and highly sought master bladesmith, knows that a sharpened knife is an indispensable tool to the prepared chef. The Bob Kramer Euroline 6-piece sharpening set allows you to get that perfect edge without grinding down your blade. 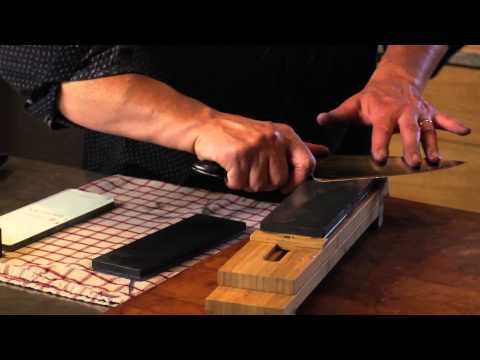 Factory sharpen your knives with three different levels of sharpening stones 400 grit, 1000 grit, and 5000 grit. Also included is an additional polishing stone and an instruction DVD with Bob Kramer himself, maker of some of the world s most sought after kitchen knives. Bring your beloved blades back to optimum condition with the Bob Kramer Euroline 6-piece sharpening set today.